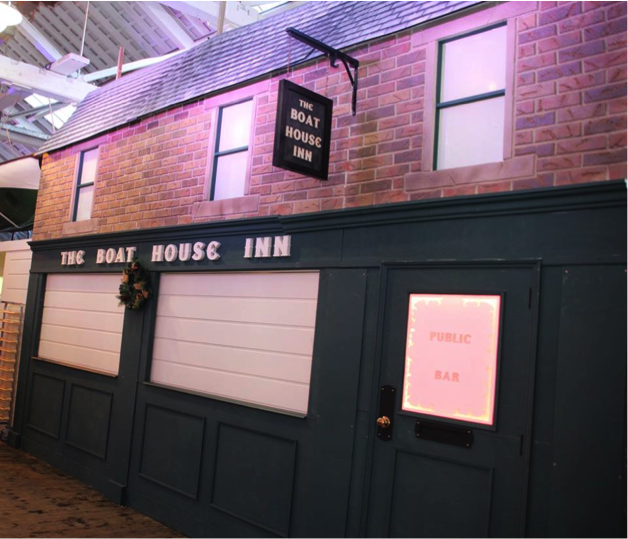 Moxhams Create Events team helped to transform Portsmouth’s historical Boat House Seven restaurant into a Victorian street scene for their Christmas Celebrations. 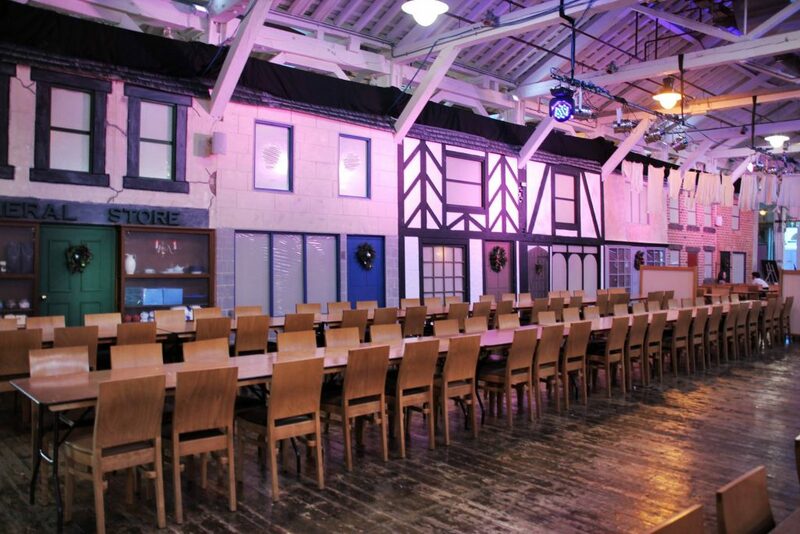 Boat house seven, a listed venue that once was used for building small crafts for the Royal Navy, Now a restored restaurant and event space, host a series of Christmas themed parties throughout December. The brief was to transport guests to an era of Charles Dickens, creating a world for character actors such as Ebenezer Scrooge & Bob Cratchit to exist. The design had to be realistic and tactile to last the duration of December. The idea of the Victorian street scene ticked all of the boxes for this particular event. The design team worked together to investigate, research and create a street scene that would be representative of a street of this period. As guests were going to be within touching distance attention to detail was of great importance – along with the need to durability of the build. During the fit upstage the restaurant was still in operation, the set had to be designed and constructed in a way that would allow for minimum disruption during the onsite build. The street was constructed using a series of panels to create each building shape, each building was two stories high. Polystyrene was fixed to the front of each section for texture, windows and door ways could be inscribed or extruded to make sure the set had a three-dimensional effect. Each brick was individual hand carved into the Polystyrene. After three months of building it was time to bring the idea to life. 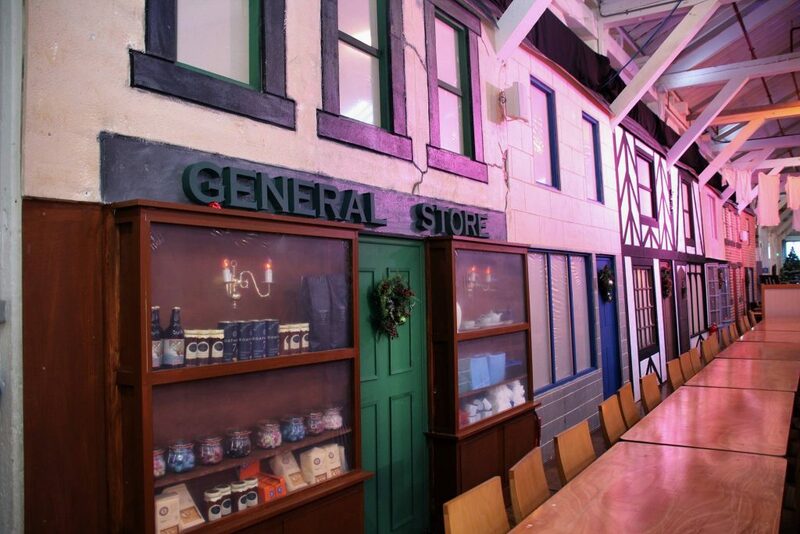 A total of three days on site allowed Moxhams technicians to install all the theming and make sure all the final touches were complete to a extremely high standard. Practical lighting was added to windows to bring the street to life. 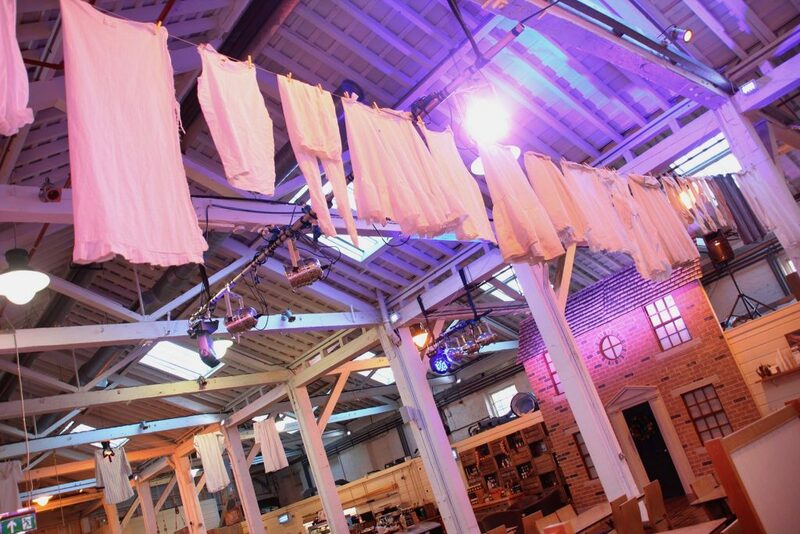 Theatrical lighting was used to wash the entire street to transform the venue into a magical street scene. The end of the street was completed by a star night sky with a big bold moon.